I'm Here. I'm Queer. What the Hell do I read? : Ellen Hopkins: The Exclusive Pre-Conference #LA11SCBWI Interview! 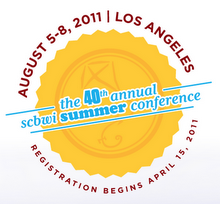 Ellen Hopkins: The Exclusive Pre-Conference #LA11SCBWI Interview! So go check out the offerings, register, and I hope to see you there! And remember, you can stay on top of all the pre-conference interviews and news by checking in on our Official SCBWI Conference blog and on Team Blog Captain Alice Pope's indispensable SCBWI Children's Market Blog - bookmark them both! I totally hear you, and have twittered and facebooked today about the Day of Silence. Yay! Great interview Ellen and Lee. *loved* I'll have to get signed up!! Hi Caz, I expect we'll blog about of a few of the intensives, though as with all Team Blog coverage, it's more a taste than a transcript! And thanks to you and Naomi for your kind words about the video!